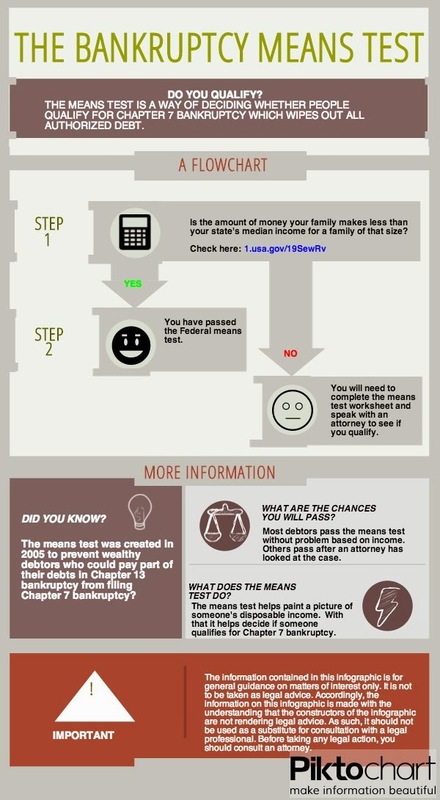 Potential clients often call and ask, "Do I qualify to file bankruptcy?" What they really want to know is what type of bankruptcy they qualify for to file. While the recommendation of what type of bankruptcy, if any, can only be made by a licensed attorney, the illustration below may be helpful.